Below are a number of ways to access thousands of books absolutely free through the district’s Summer Reading Program. This entry was posted in Literacy, News, Parents and tagged summer reading on May 12, 2017 by HISD Communications. HISD’s Millionaire Club is a literacy initiative designed to encourage students to read for pleasure during the summer months. Each week, we’ll catch up with one HISD librarian to find out what’s on his or her reading list. 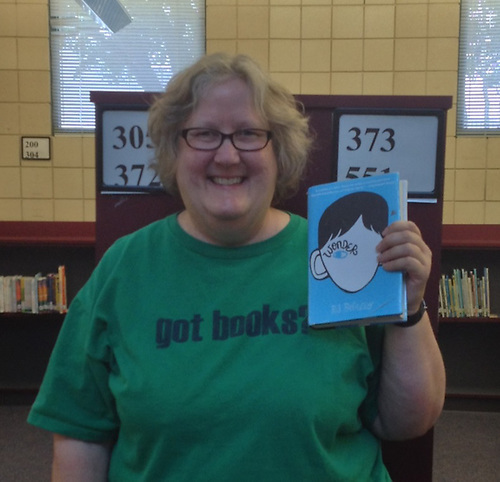 This week, we spoke with Cindy Dinneen, a librarian at Johnston Middle School. This entry was posted in Middle Schools, Summer programs and tagged Johnston MS, librarian, millionaire club, summer reading on August 12, 2013 by HISD Communications. HISD’s Millionaire Club is a literacy initiative designed to encourage students to read for pleasure during the summer months. Each week, we’ll catch up with one HISD librarian to find out what’s on his or her reading list. 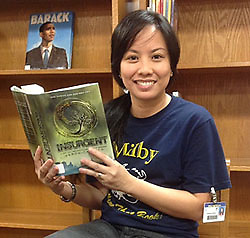 This week, we spoke with Rowena Verdin, a librarian at Milby High School. I just finished reading Insurgent by Veronica Roth and I started The Dog Stars by Peter Heller. Insurgent is actually the second book in the series by Veronica Roth. The first book, Divergent, was in last year’s Name That Book list. I enjoyed the first book; it’s like Hunger Games. Plus, I really like dystopian novels, so I just had to read the second book. The third book is supposed to come out in October. Dog Stars is on the Name That Book (NTB) list. This entry was posted in High Schools, Summer programs and tagged Milby High School, millionaire club, summer reading on July 22, 2013 by HISD Communications. HISD’s Millionaire Club is a literacy initiative designed to encourage students to read for pleasure during the summer months. Each week, we’ll catch up with one HISD librarian to find out what’s on his or her reading list. This week, we spoke with Pat Johnson, a librarian at Stevenson Middle School. I’m reading all the books from the “Name That Book” contest to get clues. This entry was posted in Middle Schools, Summer programs and tagged librarian, library, millionaire club, Stevenson MS, summer reading on July 15, 2013 by HISD Communications. 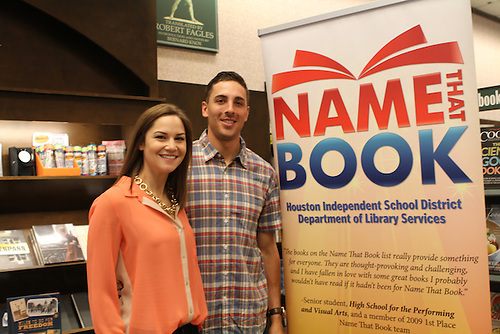 Houston Astros catcher Jason Castro and his wife, Maris, are holding a book drive at Minute Maid Park this weekend to benefit HISD students. The couple runs Castro’s Kids, which encourages children to embrace literacy. This entry was posted in Summer programs and tagged Castro's Kids, Jason Castro, millionaire club, summer reading on June 26, 2013 by HISD Communications. School’s out for the summer, and that means no more pencils and no more books. But wait—there are books. 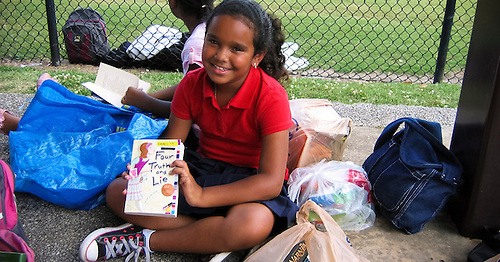 For the second year in a row, Half Price Books has donated 5,000 books to students at the Wharton K–8 Academy so they can take part in the district’s Millionaire Club. The Millionaire Club is a coordinated effort between HISD’s Library Services and Curriculum, Instruction and Assessment departments to keep kids reading over the summer break in order to combat the “summer slide,” or the loss of academic skills many students experience after three months of inactivity. 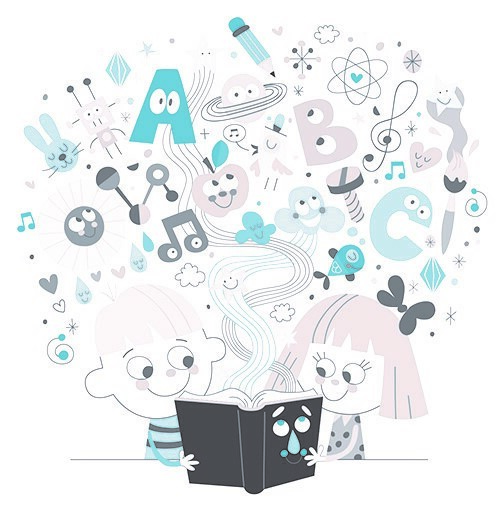 If a student reads and records five books on a log, then they become a member of the club and are eligible for recognition and prizes when they return to school in the fall. This entry was posted in Summer programs and tagged books between kids, Castro's Kids, millionaire club, summer reading on June 17, 2013 by HISD Communications. Are You a Member of the Millionaire Club? What Are You Reading This Summer? The first day of school in HISD is still more than a month away, but it’s not too late for students to participate in the Millionaire Club, the district’s annual summer reading initiative. Just finish five books by the time school starts and you could be eligible for incentives, recognition, and other prizes! Be sure to share your favorite selections with us in the comment section below, so that other students can enjoy them, too! Happy reading! This entry was posted in Special events and tagged books, literacy, log, millionaire club, summer reading on July 26, 2012 by HISD Communications.